By the early 21st century, it is certainly no longer questioned that industrial design and art have learned how to go hand-in-hand. I think we also agree that most creative efforts—from chefs to designers of utilitarian objects—involve the work of artists, no matter what their background. I often hate disturbing a beautifully presented plate in a restaurant! Artists are involved in the design of cars, so it should be no surprise that they also design wheelchairs. The fact that artists have been involved in beautifully designed everyday objects goes back farther back than I am old. The Jomon culture of Japan (flourished ca. 3000–200 BCE) is considered one of the first cultures to decorate ceramic vessels simply for the sake of decoration! The Arts and Crafts Movement of the mid to late 1800s only focused attention on a phenomenon—artists involved in the design of everyday objects—that had existed for millennia! From depictions in works of art and from contemporary sources, wheelchairs have been around since as early as the 500s CE. This includes a tomb engraving in China that shows a person sitting in a three-wheeled sort of box. Basically, side chairs equipped with wheels evolved during the Baroque period (ca. 1600–1750) in the service of royalty, of course. These necessitated someone pushing them. 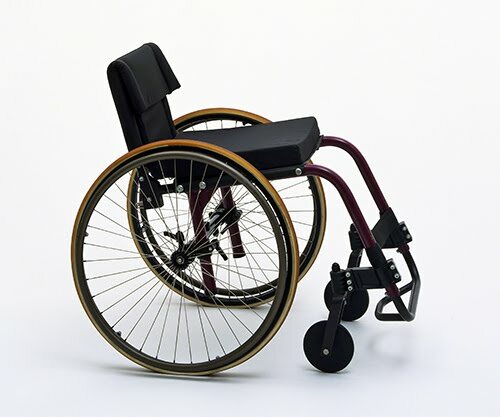 The first self-propelled wheelchair (three-wheel with hand cranks) came out in the mid-1600s. However, most models into the 1800s were three-wheeled jobs that needed pushing. The first versions on which contemporary wheelchairs are based came out during the US Civil War (1860–1865), because of the overwhelming number of amputations from that war. They had wooden frames; adjustable wicker seats and arm rests; and large, spoked wheels. Folding wheelchairs were pioneered in 1932 and 1937. Kazuo Kawasaki (born 1949) is a Japanese industrial designer who was born in Fukui Prefecture. He studied industrial design at Kanazawa College of Art, graduating in 1972. While he has worked on designs for portable computer systems for Apple, one of his abiding interests has been in medical technology. He has worked on a project for an artificial heart and the Carna form of collapsible wheelchair. The Carna wheelchair combined function with lightweight modern materials that make the chair perfect for athletes. Rainer Küschall (born 1947) is a Swiss engineer who suffered a serious spine injury when he was sixteen. 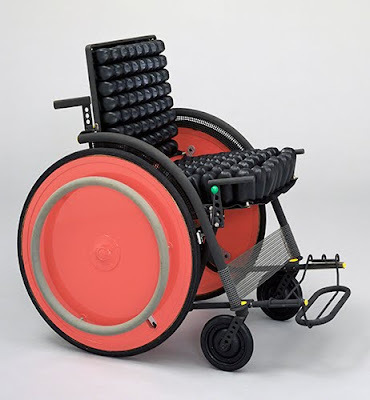 After recovering, he discovered the limited feasibility of wheelchairs and formed Küschall AG in 1976 to produce wheelchairs that could serve a variety of needs. The 1986 model Competition (called Champion 3000 in the US) was unique in its use of tubular steel, fourteen instead of twenty-five kilograms (thirty pounds instead of fifty-five pounds), which made it lightweight, versatile, and available in both rigid frame and collapsible models. It was also particularly designed for the use of athletes. Never “Pin” an Artist to One Art Form!